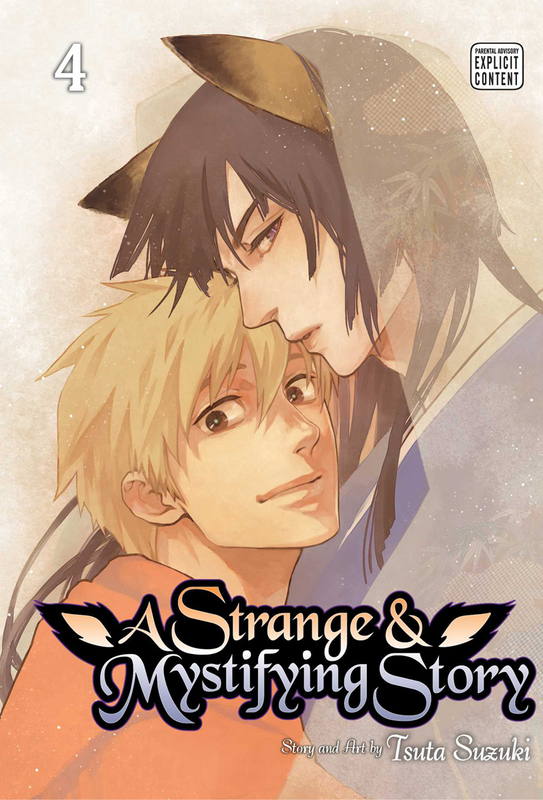 A Strange and Mystifying Story manga volume 4 features story and art by Tsuta Suzuki. Thanks to his grandmother’s trickery, high school student Tsumugi has been betrothed to Master Kurayori, the family’s guardian deity. Although Kurayori is rather miffed over the deception, Tsumugi is serious about his relationship with the guardian deity and about saving his home. However, as the two spend more time together, nothing romantic seems to develop. What’s an inexperienced high school student betrothed to a guardian deity to do?